Those interested in pursuing a career as a paramedic will of course be curious about the paramedic salary in Illinois. Becoming a paramedic in IL takes a lot of hard work, so it’s natural to be curious about the annual paramedic pay, which typically ranges anywhere between $32,000 to $42,000, depending on a wide variety of factors such as region or previous work experience. As you can see, the general salary of a paramedic won’t make you rich. With that said, the pay rate is certainly one that can support not only your lifestyle, but that of your family, as well. So how much does a paramedic make in Illinois? Let’s take a closer look. First, it’s important to note that paramedic salary varies based on a variety of factors, most notably the region one works, the experience one has, and the actual job title one holds. In general, a paramedic makes more than an EMT due to their advanced training, but makes less that a flight paramedic or a firefighter paramedic. The job of a paramedic can also lead to career growth in the medical field. In turn, this can of course lead to a higher salary. Some licensed paramedics decide to go back to school and take the Paramedic to RN bridge program, allowing them to work towards becoming a Registered Nurse. So if the salary of a paramedic doesn’t meet your expectations, the job of a paramedic can be a great stepping-stone to other opportunities and higher salaries in the medical field. Before we get into any specific numbers when it comes to paramedic salary in Illinois, let’s quickly cover a few important national statistics. Using Salary.com as our guide, let’s see how the salaries for EMTs, paramedics, and flight medics compare in the largest cities in Illinois (by population). In Chicago, EMTs make $32,175 every year. Paramedics make an average of $40,788 per year. And flight medics make $43,640 annually. In Aurora, EMTs earn $28,442 annually. Paramedics earn $36,055. And flight paramedics make $38,577 in yearly income. In Rockford, an EMT makes $30,964 in salary. Paramedic salary equals about $39,252, while a flight paramedic salary is $41,997. 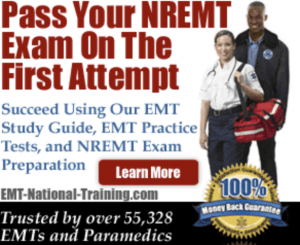 In Joilet, EMTs make $27,748 per year. Paramedics earn $35,176 each year. And a flight paramedic pulls in $37,636 annually. In Naperville, EMTs make $28,256. Paramedic salary is $35,819 annually. And a flight paramedic salary makes $38,324 every year. In Springfield, an EMT makes $27,864 in salary. Paramedic salary equals about $35,323, while a flight paramedic salary is $37,793. If you’re currently looking for a paramedic job in Illinois, it’s recommended that you visit our job board. There, you can search for hospitals and ambulatory services that are looking to hire educated and trained paramedics. Based on the paramedic salary average from Salary.com, paramedics in Illinois seem to make a little less than the national average. In fact, outside of Chicago and Rockford, paramedics in cities like Springfield, Naperville, and Joilet all seem to make about $35,000, which is a few thousand dollars less than what paramedics are making nationally per year. The job of a paramedic will never afford you the opportunity to retire at 40. But if you love helping your fellow man or woman, and enjoy working in a hectic and often unpredictable work environment, then the job of a paramedic is one you should most certainly pursue. Remember to bookmark our website for more information on becoming a paramedic in your area.